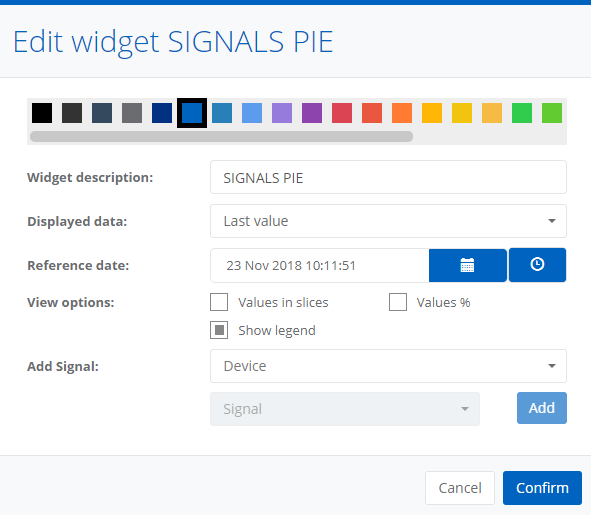 The widget displays one or more user-selected signals in a pie chart. By moving your cursor over the data area, you will see balloons containing the single values and corresponding dates. In addition to the color of the widget, it is possible to choose the view options. 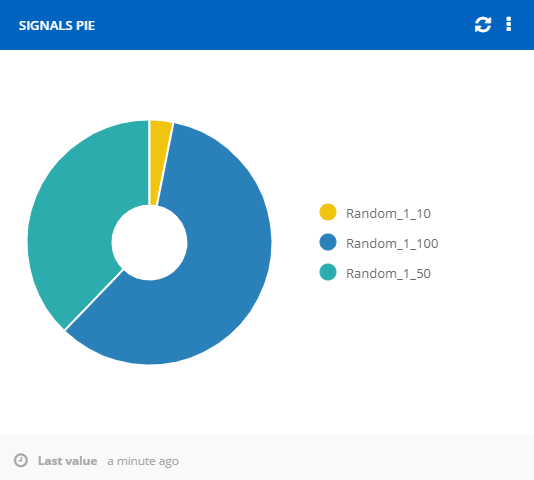 Value in slices shows signals value directly in the slices of the chart. Values % shows percentage in place of absolute values. Show legend allows to specify whether tho show the legend next to the chart. It is also possible to add new signals to the chart with the proper command. By clicking on the visualized slices it is possible to change their label, their opacity and color or to remove them from the chart. 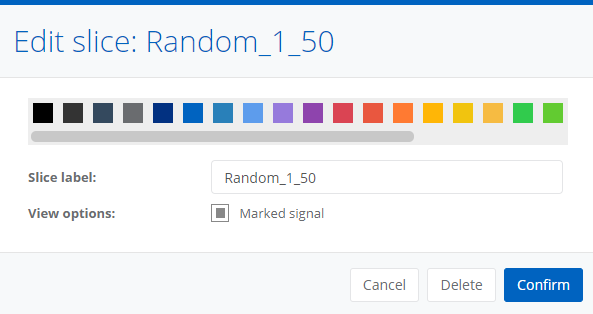 If the signal has values substitutions set, its corresponding slice has the substitution color.